‘Oliver twist remix‘ was produced by Don Jazzy and it was released on May 13th , 2012 as Dbanj’s first UK single. The pop star has been actively promoting his new album on Twitter. And its like ‘Oliver’ is living up to hype in UK. 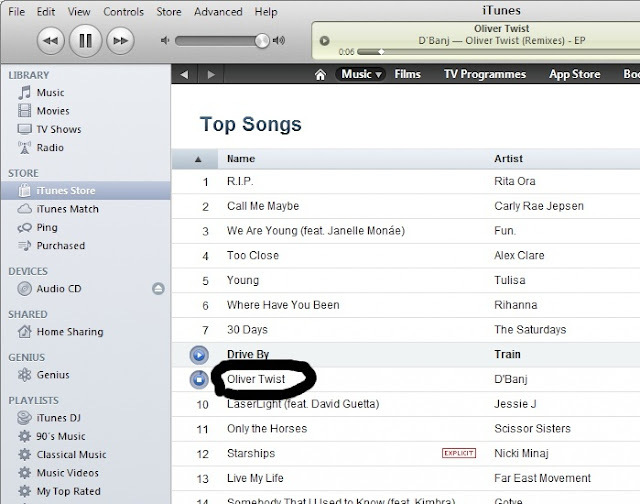 The song went on to debut at Number 9 on iTunes UK Top 100 Song Downloads Chart a day after its release.